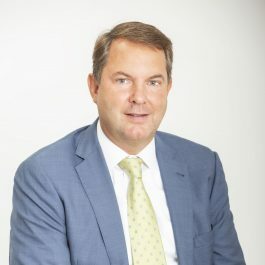 Von der Heyden Group is a high-quality niche player on the European Real Estate Market who have since 1989 recorded an investment program, impending acquisitions and developments with a value of over half a billion Euro. Over 400 employees within the companies of the group contribute to the 4 pillars of business including the Group’s real estate investments and developments, its international hotel group IBB Hotel Collection as well as in alternative investments. Von der Heyden Group has been successfully investing and developing Class A Office buildings and Hotels in central and strategic locations in Malta, Germany, Poland and Spain and is commonly known for its high-end finishes and quality, achieving record prices for its award-winning projects, when sold. In addition to the classic investment in the inventory as well as the development of hotel, office and residential projects, the Von der Heyden Group also concentrates on the renovation and rehabilitation of historical and landmark buildings. In March 2017, the Group, through its special purpose vehicle Von der Heyden Group Finance plc, issued a €25 million bond which is listed on the Malta Stock Exchange. It was the most traded bond in terms of number of transactions during the year 2018. Von der Heyden Group currently has offices and representations in Malta, Warsaw, Poznan, Lublin, Berlin, Munich, Madrid, Menorca, Amsterdam and Luxembourg. The group has also recorded investments in other cities such as New York, Atlanta, London, Dresden and Leipzig. With 30 years sound experience and continuing presence on European markets, the investment firm enjoys the trust of international financial institutions, funds and big market players, as well as embassies, governmental institutions and cities. Bavaria Towers, Munich: VDHG purchased in 2006 three office and warehouse buildings in the top strategic location in Munich with the aim to change the master plan of the city. Investment costs are estimated at Euro 180 million. The Von der Heyden Group is currently pursuing advanced negotiations regarding the operation of a boutique hotel in the capital city of Valletta and a high profile office development on the island taking advantage of the very positive local business environment. Andersia Silver, Poznan: the fourth and final development phase of the entire scheme of Andersa Square in Poznań (app. 55.000 sqm net usable area). After Andersia Tower, Andersia Silver will be the highest building in Poznań. Investment costs are estimated at Euro 110 million. Due to the current market environment, start of construction is not scheduled, yet. Nowy Swiat Atrium, Warsaw: High quality five-storey office building with a 2-storey underground car park (app. 5.200 sqm usable area) with retail function located in the very heart of Warsaw close to the Trzech Krzyży Square. Investment costs are estimated at Euro 24 million. Due to administration issues, start of construction is not scheduled, yet. building of Brama Czasu Monument.